Please contact the facilities to check which activities are offering and their timetables. Traveling to Merseyside? This can be the right spot on the internet to find locations to swim in Merseyside. Each day you might be not swimming you are losing precious time to boost your skills a be a greater swimmer! No additional excuses!. Looking for Outdoor Pools in Merseyside? Lots of of them belong to gyms or sport centers which also provide lessons. We currently have the following Swimming Pools, but we are usually grateful for any corrections or contributions. Get in touch via our contact form. These are the Outdoor Pools in Merseyside other users have reported. Are you a local and your pool is not listed? Contact us to ADD IT. It's free! Are you on holiday and wish to keep fit and healthful? 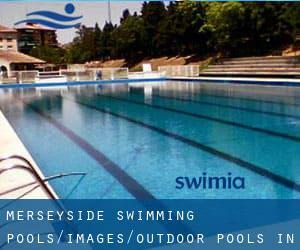 Swimia.com offers you the easy and quickest way to acquire pool near Merseyside. Swimming is usually a superb idea to help keep your body active in the course of your visit to Newton-le-Willows (Merseyside), or even if you are a local. Swimia helps you to find your closest Pool in Newton-le-Willows. Let us let you know a secret to switch off whilst you will be in Crosby: just choose a Swimming Pool in Crosby and plunge into the water! There's no alot more effective system. It's difficult to visit Merseyside without dropping by Kirkby (with 39.208 residents). Currently Swimia is showing you all of the Swimming Pool in Kirkby and the closest pools located in its vicinity. Without a shadow of a doubt, swimming in Bootle may be the finest approach to unwind right after work. 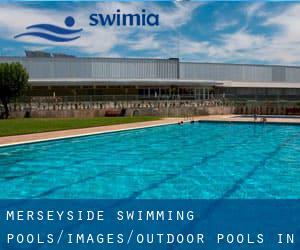 Take a couple of minutes to browse Swimia's catalog to find a Pool in Bootle. East Acton Lane , Acton , London - West , England , UNITED KINGDOM (Postal Code: W 3 7HB). This sports center offers 25 meters x 11 meters, 6 lanes, Outdoors. Contact facts for this Swimming Pool for instance phone number and email address are number. 161 Banks Rd , Sandbanks , Poole , England , UNITED KINGDOM (Postal Code: BH13 7QL). Among all of the activities offered by the center, in case you are interested in swimming you will take pleasure in 17.5 meters x 6.5 meters, 1.1 meters - 2.2 meters depth, 1.1 meters - 2.2 meters depth, Outdoors. Just in case you wish to get in touch with this Pool before dropping by, we only know the phone number. Vale Park , Park Street , Aylesbury , England , UNITED KINGDOM (Postal Code: HP20 1DX). This great and large sports center lets professional swimmers like you enjoy 25 meters, 8 lanes, Indoors. Additionally, within these facilities you can try 20 meters, 4 lanes, Outdoors. Phone number and email address are number for this Pool. London Fields Westside , Hackney , London - East , England , UNITED KINGDOM (Postal Code: E 8 3EU). This sports center gives Olympic size x 17 meters, 8 lanes, 1 meters - 2 meters depth, 1 meters - 2 meters depth, Outdoors. For this Pool, only phone number is number here. High St. , Hampton , London - West , England , UNITED KINGDOM (Postal Code: TW12 2ST). This sports center delivers 36 meters x 14 meters, 6 lanes, Outdoors. Contact information for this Pool for example phone number and e-mail address are number. Queens Park Avenue , Billericay , England , UNITED KINGDOM (Postal Code: CM12 0SP). Swimmers like you reported 23 meters x 10 meters, Indoor/Outdoor. Unfortunately we do not have the email address of this Pool, but we can provide you with the phone number. Drayton High Road , Hellesdon , Norwich , England , UNITED KINGDOM (Postal Code: NR6 5DU). Swimmers like you have reported 25 meters x 18 meters, 3 lanes, Indoors. Also, you will find 20 meters x 8 meters, Outdoors. Just in case you need to contact this Pool before dropping by, we only know the phone number. 269c Woodstock Road , North Oxford , Oxford , England , UNITED KINGDOM (Postal Code: OX2 7NZ). Few days ago a regular user of this center told us they offer 25 meters x 8 meters, 3 lanes, 1.5 meters uniform depth, 1.5 meters uniform depth, Indoors. Furthermore, they keep in good conditions 20 meters x 8, Outdoors. For this Pool, only phone number is number here. Oakfield Place , Clifton , Bristol , England , UNITED KINGDOM (Postal Code: BS 8 2BJ). This sports center gives 25 yards, Outdoors. Contact facts for this Swimming Pool including phone number and email address are number.